In 2011, Greenpeace - the world's largest environmental campaigning organisation - celebrates its 40th anniversary. French photographer Pierre Gleizes has shot some of the organisation's best known photographs over the three decades he has worked for Greenpeace. Some of these pictures have truly changed the way we look at our planet and the environment. Harry How is a sports photographer without any prior photography training. With hard work, determination, and a pressing urge to create images that hold up against his peers' photographs, Harry now has a career shooting for Getty Images. In this video Harry explains in detail what it takes to make the transition from hobbyist to full time professional and outlines his gear and little tips throughout his own transition into a sports photographer. If you enjoy this type of candid interview, be sure to hit the full post to watch part 2 and part 3 of this video series. I just saw this video pop up on the front of Vimeo.com and I knew I would love it before I even saw it. Chris Gregory does a fantastic job of capturing the life of a Capitol Hill photographer. There is so much more too it than I ever really thought about. Make sure you head over to his website and check out his amazing portfolio. One thing I love about having an Vimeo account is the great videos they recommend checking out. Back in Oct 2010, the first ever Vimeo Awards was held, and the winners for over 9 categories were announced. None of the winning videos are directly related to photography but the winning narrative Thrush by Gabriel Bisset-Smith was created entirely from still images. It's pretty entertaining and it really opens the gates to what is possible now that we are all documenting our lives pretty much everyday. I have to believe that all of these shots were staged, and if so Gabriel did a great job capturing all these frames and making such a unique video. Our friend Tyler Kaufman from New Orleans is a young sports photographer who had the opportunity to go and photograph Super Bowl XLV. Understandably, he was so busy shooting that he didn't have time to create a proper behind the scenes video on what it must be like shooting one of the largest sporting event in the world. Luckily for us, Max Morse was able to make a video showcasing many of the Sport Illustrated photographers in attendance. During our own interview with David Bergman, an SI photographer also in attendance of the big game, I learned that sports photographers do not simply show up and try to frantically track each player and each play for the perfect shot. Instead they are stationed in strategic spots which allows each photographer to cover their section of the field and specific players....assuming the play does come in their direction. I've always thought shooting sports at this level must be extremely difficult, and that might be why I have such respect for great sports images. Click on the full post to see a video on Tyler's experience in Dallas! 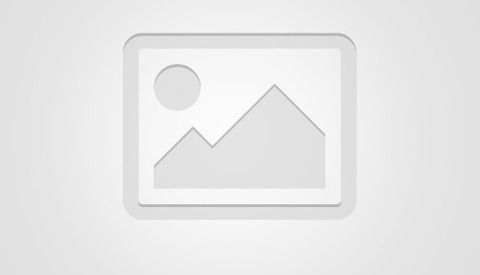 Sports Illustrated Photography at Super Bowl XLV from Max Morse on Vimeo. How Is This Possible? A Blind Photographer? I'm sure like many of other photographers, my greatest fear is going blind or at least going blind beyond correction. Pete Eckert is a photographer who has been left completely blind after suffering from a condition called Retinitis Pigmentosa. This short little video documents Pete's life and how he has overcome his loss of eye sight and continues his passion of photography. It's pretty inspiring to see what is possible through human determination and reminds me to be thankful for the simple things in life. This video has become pretty viral over the last week and for good reason! 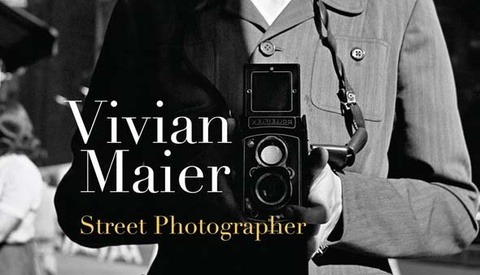 Remember the Vivian Maier story we posted a few weeks ago? Well it has been the most popular post we have ever had on Fstoppers. For those who found it as intriguing as I did, here is an update. Below, CBS News covers the story in a new interview and I would highly suggest checking out vivianmaier.blogspot.com where you can stay up to date on the newest images that have been scanned in. Clay Enos is a laid back photographer who is probably most well known for his portraits from the movie The Watchmen. Today he is taking his portrait photography to the streets and doing something most of us would find pretty intimidating by asking random people to pose in front of his white backdrop. Making people feel comfortable with you in a short amount of time is a crucial skill to have as a photographer, and Clay does a great job explaining how you can do this on the street with a relatively short 50mm lens. Now some people might not consider this real street photography but it's definitely an easy way to capture spontaneous images with a studio look. Jordan Matter is a headshot photographer based out of NYC but does some rather quirky personal projects. One of his going projects is titled Dancers Among Us where he places professional dancers in urban environments and tries to capture a spontaneous yet thought provoking image. I must admit some of his tactics might be a bit unlawful and I don't recommend necessarily following his advice but the concept is pretty interesting. Shooting in public places is always tough especially when you want a high production value but doing it in NYC can be extremely tough without getting proper licenses. View more images from this series here. Portrait photographer Platon is best known for his stylized wide angle photographs of political figures such as Bill Clinton, Mahmoud Ahmadinejad, Vladimir Putin, Hugo Chavez, and countless other iconic leaders throughout the world. His images have graced the covers of Time, The New York Times Magazine, Rolling Stone, and Esquire to name a few. For Platon, putting himself in a position to capture portraits of some of the most unapproachable and impenetrable political rulers has not only been stressful but also extremely dangerous. Such was the case when he set out to Burma, one of the most dangerous countries in the world, to photograph opposition politician Aung San Suu Kyi. In the video below Platon recaps his experience being chased by Burmese secret police in his effort to create the cover image of the January 2011 issue of Time. Scott Schuman runs a really popular fashion blog called The Sartorialist, and the whole idea is that he takes timeless looking images of fashionable people in cities around the world. A few days ago we ran a viral story on Vivian Maier who may have been the greatest unknown street photographer of her era. I thought this short documentary on Scott might be interesting to those of you who enjoy taking spontaneous images on your own city streets. It's easy to get wrapped up in gear and fancy lighting with 'modern' photography but ultimately it's your subjects that really makes an image. What better way is there to test your own craft than to take just a camera and lens and hit the streets? Fstoppers Forum member DPC shared this teaser video about a new BTS series PBS is doing on US Presidental photographer Pete Souza. It's pretty interesting to hear the issues Pete faces day in and day out shooting one of the most well known figures in the world. If you are able to tune into PBS, you can check the schedule for The President's Photographer: Fifty Years Inside the Oval Office. Click on the full post to watch a very lengthy interview with Pete about the issues he faces as a photojournalist working for the US Commander In Cheif and be sure to check out the offical White House Flickr Page for a ton of Pete's images. After two months of editing and waiting for David Bergman to get off tour, I am proud to unveil a behind the scenes video on Tour Photography featuring rock icons Bon Jovi at the New Meadowlands Stadium in New Jersey. Many of you may know David Bergman from his Sports Illustrated photos or his gigapan image of Obama's inauguration, but David's primary focus these days is shooting live events through his company TourPhotographer.com . David discusses his previous work, reviews his equipment, and takes you on an all access preview of what it is like shooting for one of the biggest rock and roll bands in the world! Click the full post to read more about our unbelievable experience filming this as well as a full list of all of David's recommended gear. 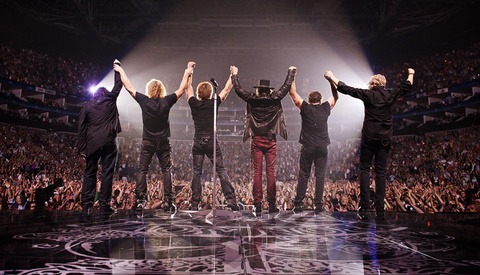 Fstoppers Original: David Bergman Photographs Bon Jovi from FStoppers on Vimeo.